Everyone who experiences the symptoms of Parkinson’s disease is well aware that anxiety fuels their symptoms. When stress is brought under control and you shut down anxiety, symptoms become far less troublesome. Everyone also knows that medicines and supplements have the potential to suppress symptoms in the short run. Unfortunately, they offer little promise of long lasting effectiveness. What in the world can deliver on this promise? Are there any natural solutions out there? Shut Down Anxiety introduces methods, strategies and techniques that have been shown to quiet anxiety. They turn down the volume of the overactive flight-fight sympathetic nervous system that inflames neurological difficulties. I did not invent these techniques. They have been extracted and simplified from an extensive body of contributions by experienced practitioners and researchers..
A bonus of the course is a download of my book Halt Anxiety with Proven Techniques which covers a wide variety of simple techniques that help reduce anxiety. There is no doubt but that using these techniques provides relief from anxiety. Every little bit of help counts for something. You will receive the download of this book to your computer immediately after registering for the course. The content of my Shut Down Anxiety course introduces natural, self administered therapies and techniques that achieve relief that is long lasting rather than temporary. It focuses on ways that cut to the core of what drives you crazy with relentless anxiety. What sustains and inflames anxiety is unresolved trauma whether physical, mental or emotional. None of us can ever change or erase traumas of the past. But there are highly effective methods that make it possible to release, remove and detach their debilitating impact. Many former students have asked to know more about how they can let go of the grip past traumas have had on them. This course is in response to these requests. Once the fuel of unresolved trauma that inflames anxiety is exhausted, a relief from symptoms follows. Sometimes is is impossible to know why we are so anxious all the time. Approaches and techniques will be covered in the course which bring to the surface the underlying sources of anxiety that are entirely unknown and release their grip on us. Six live classes will convene on Thursdays during April and May at 12:00 pm Pacific time (USA) on the following days: April 4, 11, 18, 25 and May 2, 9. I am your instructor. 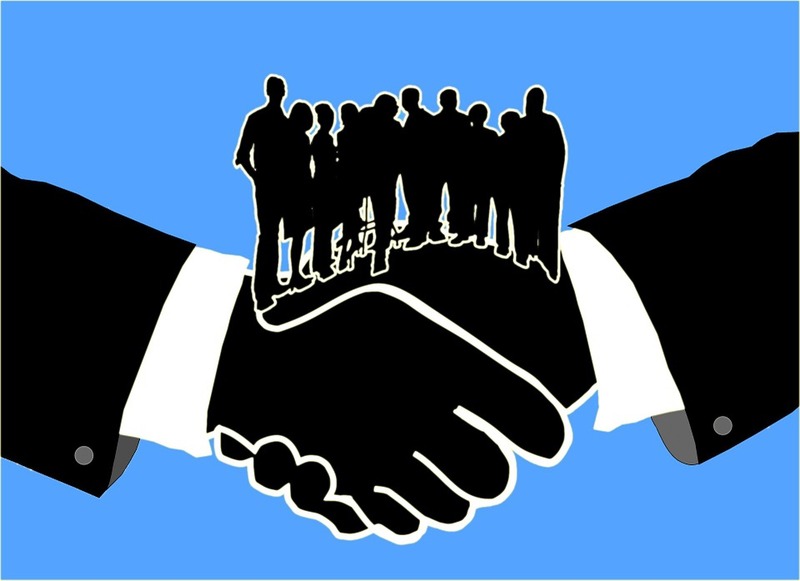 You will have the opportunity to join the classes by phone or computer and get all of your questions answered about any of the methods, ideas and techniques I will discuss. I also am happy to address any other issues that may be up for you. Replays and notes are available for all classes. 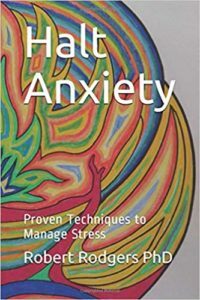 I am proud to announce that my new book which introduces proven techniques that Halt Anxiety is now available as a download and as a paperback. This has been a work in progress for four months which is at long last complete. Can be accessed anywhere, anytime in any situation. Click below to order the Download which will be sent immediately to your computer or phone. symptoms that have helped him enormously. 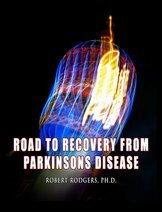 One of now over 70 pioneers of recovery I have hosted on Parkinsons Recovery radio, Fred also previews his 10 step protocol for recovery. How Long Does Recovery from Parkinson’s Disease Take? What is the bottom line to recovery from Parkinson’s disease? What is the secret to making recovery from Parkinson’s disease happen? Why do I embrace this seemingly outrageous belief? Many people who experience symptoms of Parkinson’s have told me about unexpected blocks of time (a few minutes, hours, days) when their symptoms disappeared completely. Surprisingly. these accounts more often than not involve situations which cannot be explained by taking (or not taking) medications or supplements or turning on or off a DBS battery connection. Is this a familiar circumstance for you? Have you celebrated the quieting of symptoms unexpectedly? If it has ever happened once for you, I believe it can happen all the time. What usually happens in when symptoms are unexpectedly quieted? Wow – I feel great. I feel normal. Wait – this is not supposed to happen. I have Parkinson’s Disease. I am supposed to get worse, not better. It feels a bit strange to feel so good. I do not deserve to feel so damn good. When any minor evidence of a symptoms resurfaces – the thought is: Oh right. There it is again. I know I will never be rid of this. I might as well get used to it. Once fears, anxieties, stresses and worries are recognized, any and all unwanted feelings are quieted and calmed, allowing the physical body to return to a state of balance and harmony. What are the triggers in your life? What sets you off? A wide variety of stimuli can “set us off” into a spiral. The possibilities of triggers are endless. Strangers who look like certain people? Touching of one type or another? People who want to control you? You may never intellectually understand why any of the above “sets you off” and inflames fear and/or anxiety. It just does. End of story. It is like you are watching a movie that is upsetting you – so what do you do? You immediately stop watching the bad movie. Then you change the channel to something that is pleasing to your soul. When stress is dissolved, symptoms immediately dissolve like an ice cream cone melting in the hot summer sun. Set the intention to make it so with each and every moment of your life from henceforth. The best deal of becoming aware of your wanted reactions each and every moment and quieting them in the moment they flare is that the therapy is entirely free! I just want you to know that I had previously started to recover from Parkinson’s because of the work I have been doing about letting go of the stress and trauma in my body by using Louise L Hay method. I’m following her book” You Can Heal Your Body“. I have noticed quite a significant reduction in my symptoms already. They’re not completely gone but they are reducing and I am definitely on the road to recovery. I am sure your program will help even more. I just know that I will be symptom-free! I have no doubt about it. 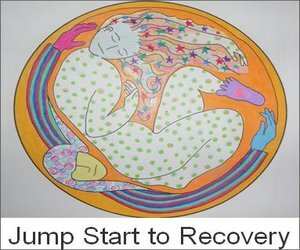 So thank you for your jump start to Recovery program. My vision that I hold in my thoughts are having you interview me on your radio show and I am sharing on how I recovered from Parkinsons.. And the other vision I have is me telling my neurologist I no longer have Parkinson’s and him giving me a score of 0 on the Parkinson’s scale. Sick and Tired of Being Stressed Out? My radio show this Wednesday (1/20) features Jeffrey Brantley MD who is an international expert on stress and anxiety. Author of a series of best selling books on mindfulness, Dr. Brantley is one of the founding faculty members of the Duke University’s Integrative Medicine initiative which has won praise from researchers across the globe. If you are sick and tired of being stressed out and fare anxious pretty much all the time, be sure to catch this interview! This radio program will air on Wednesday at 11:00 AM Pacific time. The cause of Parkinson’s symptoms seems to be varied. As you say, what works for one doesn’t always work for everyone. There is an American site www.23andme.com Their focus is on DNA of PD suffers and I have given them my DNA. They have all sorts of questionnaires, the only common denominator they have found so far is not based on DNA of the people they have sampled. What they have found so far is that PD people don’t like sky diving and they like sweet things. To my mind sky diving = stress (stress hormone) and sweet things = sugar. My PD symptoms came after I had a car accident. I wasn’t physically injured but was badly shaken. I had been working 12 hour day and night shifts for 5.5 years prior to the accident. Frankly, I was physically exhausted at that time. I have a sweet tooth as well. So there are the two components “stress” and “sugar”. For me, the other one could be “protein” as it blocks my PD medication. So the stress hormone, sugar and protein are factors in my case. The answer may be in there somewhere. It is well known that stress has a direct and profound impact on the symptoms that are associated with Parkinson’s Disease. The connection is immediate. When you are stressed symptoms of Parkinson’s Disease will inevitably flare up. Without stress, the symptoms of Parkinson’s have a terribly difficult time showing up. How can you reduce the stresses in your daily life? One profound, natural and effective approach for reducing stress is to become more mindful and present to the each and every moment. I must confess I did not have a clue how to become more mindful until I began a project in collaboration with Nancy Welch several years ago. Nancy, a psychotherapist and expert on Mindfulness as well as chronic illness, and I conducted interviews with national experts on mindfulness during 2010. Their wisdom is now captured in Nancy’s new book, Medicine and Meditation, which has just been released as a paper back and a download to your computer. Nancy Welch’s new book is entitled: Medicine and Meditation, Conversations on Mindfulness in the Management of Chronic Pain and Illness is a true gem. Some of you may have listened to some of these interviews when they were aired live. Her new book explains in detail how we all can become more mindful which reduces stress and invites our hormones to come back into balance. I believe the potential for reversing the symptoms of Parkinson’s is significant when mindfulness is practiced. .
How Can Toxins or Stress Be Removed? How can toxins or stress be removed if it’s trapped at a cell level? This is certainly an important question. There area wide variety of detox methods that remove toxins and a wide selection of approaches that assist the body with releasing trauma.No gold standard exists for either because everyone’s body is different. Many people discover that one therapy will work for a while. Then, they have to switch off to another in order to continue the recovery process. Different methods are successful at different points in the recovery process. One of the reasons I air the radio show every week is to offer a wide variety of choices you can consider. Whether my guest is a health care practitioner or a person who currently experiences the symptoms of Parkinson’s, they usually tap into their approach for detoxing and de-stressing. People with the symptoms of Parkinson’s talk about what therapies are working for them. It doesn’t mean it will work for you – but it is a starting place. I am guessing you were hoping for a much more simplistic answer -perhaps a few websites to visit. There are hundreds of resources out there for you to pick and choose from. The most important step is to begin taking action now. Initiate your own exploration. Call or e mail some of my radio show guests. Get more information. See what calls out to you. You really can’t go wrong. Most of the therapies people find are the most helpful are safe, non-intrusive and effective. The only side effect is improved health on some level. I have been faithfully reading your daily mails and find them quite comforting. Here’s my problem. I won’t be seeing a neurologist until November 15th. My family doctor’s suspicion of Parkinson’s Disease is based on the fact that my hand tremors are ‘resting’ tremors. Whenever I have the courage to check for more information online, I find information which makes me think it could possibly be caused by something else, i.e. genes (my dad had a bit of a tremor in his hand), low blood sugar (although I am not diabetic. The tremors seem to get better when I drink a pop, not diet.) … you get my meaning, I’m sure. I also am very much aware of the fact that the tremors get a lot worse when I try to suppress them. If I sit on my hand, they seem to move into my shoulder. They also almost go away completely when I am totally relaxed (they come back at the slightest sign of stress). I would like to do something to help myself while I wait for my appointment. I would like to be proactive rather than reactive. Is there something you can recommend? I know there are many good suggestions on your web page, but it’s information overload for me still. Any suggestion will be much appreciated. I feel the information overload too. There are so many opportunities out there – which ones do you pursue? It gets really overwhelming. 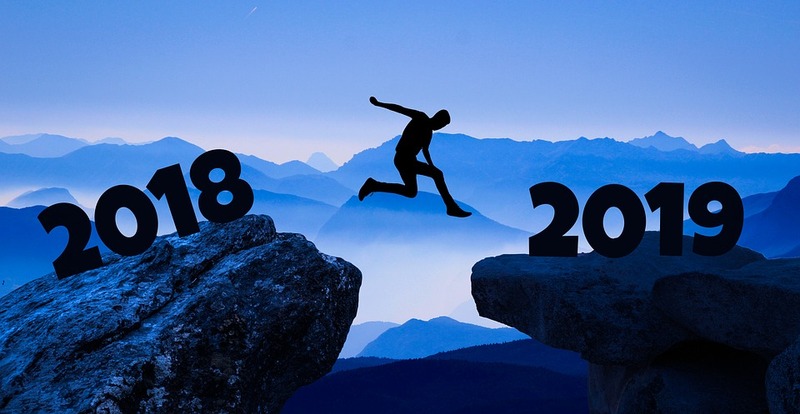 That really is why I began doing the Jump Start to Wellness programs – to help people shift through the maze of options to find therapies that are right for them and their bodies. Let me offer a few suggestions you might want to talk with your doctor about. Exercise every day. Exercise addresses the stress. Use body therapies that release the stress like cranio-sacral therapy, Bowen therapy, Tin Tui Na, vibroacoustic therapy, etc. As you well know, when you can release the stress that is trapped in your tissues, your symptoms will not flare when you are under stress in the moment. Toxins are a big factor. I have no idea what you have tried – but zeolite is a great detox. There are several companies who offer zerolite detoxes. 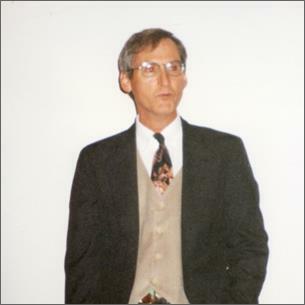 I interviewed Robert Bonham, Ph.D. several months ago. You might want to listen to that radio show interview. Detoxing with zeolite has the potential to offer significant relief. I am hot on the trail of a supplement that I have been taking which has given me incredible energy. It offers the body a way of making glutathione naturally. I will talk about it on my radio show this next week. It is called Can-C Plus -and has been used in conjunction which eye drops that reverse cataracts. Looks to me like it is a great anti-aging supplement and I am guessing it may provide great relief from neurological challenges. I think this supplement may provide many people with Parkinson’s relief from their symptoms. It is all speculation – but I am excited nonetheless. Finally – are you adequately hydrated? If your body is not getting enough water – symptoms will be worse. John Coleman recommends aquas (www.aquas.us). 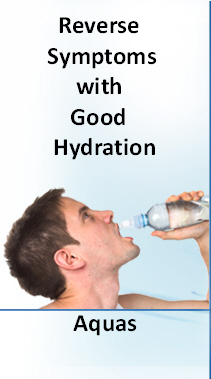 Whatever approach you use, be sure that your body is adequently hydrated every day. I would not worry over a diagnosis. It is just a guess anyway. Your body has the power to heal itself when given the support and nourishment it needs to heal. Give you body the support it needs to come back into balance and you will be pleasantly surprised with the outcome. While I have wondered for the past 4 months whether the tremors I experienced might be the early symptoms of Parkinson’s disease, seeing my family doctor today and having her refer me to a neurologist has finally given me the courage to read up on this horrible disease. Among other web pages, I found yours. I would like to tell you that I believe you have a valid thought in suggesting that STRESS may be a reason for contracting the disease. Almost a year ago I signed up for internet marketing coaching. I set up a LLC and paid close to $ 15,000.00. It did not take long for me to realize that I had been badly scammed. Still, having spent the money I wanted to give this my very best effort. This, on top of fighting with my recruiters and coaching company plus trying to stop these people from scamming other innocents and basically getting nowhere has brought on my symptoms. I am a 71 year old female. The reason I dared take on the online marketing was that I have always been super healthy. Thanks so much for giving me permission to post your story on the blog of how stress has been a major contributor to symptoms of Parkinsons that you currently experience. People tell me over and over that when they are under stress, their symptoms flare. When they are stress free, their symptoms subside. The correlation is profound. The good news is that there are multitude of safe, noninvasive therapies that can help reduce the trauma and stress that you are experiencing in the moment. The end result is often a set of symptoms which do not interfere with your life or which are entirely absent (until stress rears its ugly head again). Know that there are many people who are on the road to recovery. Gabby gave me permission to post her e mail to me today in response to one of my newsletters. May her strength and courage be an inspiration to us all. Thanks Robert for this much needed inspiration. I got a lump in my throat and tears in my eyes because it felt like you were describing me to a T. I feel like I’m on a roller coaster and never know what to expect from one day to the next. On good days I feel great (like the old me) and sometimes even catch myself wondering whether my diagnosis was accurate. Then suddenly, out of nowhere, I’ll have a few really bad days, my tremors will get worse and my chest muscles are in such pain I struggle to breathe. Having historically been a very healthy and active person who has also been a bit of a control freak, I am struggling to adjust to my new life of uncertainty. Having said that I am very spiritual and know that God has literally carried me this last year. I also believe very much in the power of our minds and as a single mom of 2 teenagers I just have to cope. It has helped me to remain as positive as possible, put my head down and just push through, taking one day at a time and knowing that God is there to help me when the going gets tough. I have just recently started a new job which is extremely pressurized and stressful and I am really struggling to keep my head above water but don’t really have a choice. I have been quite concerned about the effect this is having on my condition but your email has encouraged me to just remain positive and believe that I can cope and I will be okay! I am in England and have been reading your messages for a while and they are a great help to me. I was diagnosed last year but have steadfastly refused to accept anything other than that I am going to get better eventually. I think my problem has been great stress over a long period of time starting with the way my mother treated me. I went to a dowser who suggested I needed to remodel the way my unconscious mind works. I have been having hypnotherapy for about 2 months but have not finished yet. However I already feel I am improving. It is difficult for me to assess because in the middle I decided I needed a kick start to make me feel better so I could build on something so I have been taking Amantadine for about 6 weeks – I think I am still seeing gradual improvement. I also take various supplements. I haven’t yet asked my body what it needs but I will be putting it to the test. Anyway I just wanted to say thanks for all the e-mails – I look forward to them. How do you reduce stress? Stress is directly connected to the symptoms of Parkinson’s. When relaxed and care free, symptoms are minimal or nonexistent. There are a variety of possibilities for reducing stress. They best way to approach the goal is on a moment to moment basis. 1. Exercise. Many people tell me that when they feel anxious or are worried, exercise does the trick beautifully. 2. Meditate. Be quite and still for a minute. Focus on your breath. I am not talking here about a big deal. One minute will do during the moment when you need it. I have just finished a series of interviews with people who are experts on meditation for a book with Nancy Welch, Medicine Meditation. There are many different approaches to meditation. The trick is to find an approach that works for you. Regardless of the method you are drawn to, the idea behind meditation is to still the mind babble which aggravates and inflames the stress. 3. Laugh. This is a simple suggestion, but it works. I post a joke a day on the Parkinsons Recovery member website. Laughing out loud gives an immediate dopamine rush. That is pretty cool if you ask me. The irony is that you do not even have to think the joke is funny. Laugh out loud and you will get an immediate dopamine rush. The only side effect to laughter is improved health on some level. 4. Try holysnc (which is available from a variety of sources). I have written a review of my ecperience with Holysync with regard to how it reduced my own stress. This method was created about 80 years ago by Robert Monroe. It consists of sounds that have slightly different frequencies which are sent to the two sides of the brain through headphones. I personally used this technology for about two years. I listened to tapes for about 30 minutes a day. Very gradually, the little things that stressed me out no longer had any impact whatsoever. I would listen for about a minute and instantly be asleep. 5. Get body work. Cranial sacral body work or energy work can be extremely helpful. There are physical blockages which twist and contort the body’s tissues that are released and removed through gentle body work. Everyone has blockages to one degree or another and, in my opinion, everyone in a body should consider getting body work of one form or another. I have used many different forms of body work for myself – energy healing, cranial sacral therapy, reiki, healing touch. zen massage, Bowen therapy. I recommend you try some of these wonderful techniques out and see which one your body likes the best. 6. My concluding suggestion is to acknowledge that many stresses are external to us. We are impacted by our parents or children or spouses or partners or money or jobs or the world condition or the economy – you name it. When I feel the external world invading my internal space, I have a mantra which helps me. “why I am here on the earth? Much of the stress I carry is instantly released. Combine the strategies and you get an even bigger result. I know stress is a major player in my Parkinson’s symptoms. I have chronic pain and suffering from a surgery to my face that developed into what is referred to as a central pain disorder. Meaning, the central nervous system has become involved. I think it interesting that where this takes place is in the vicinity of the Substantia Nigra area of the brain where Parkinson’s develops. I’ve always thought there might be a connection. 2) Negative thought patterns even though I see myself as a positive person. I had childhood trauma and trauma as a young woman. I developed an autoimmune disease at age 22 that most often is not manifested in anyone younger than 50. I attribute this to a sensitive body that could not handle the devastation of estrogen packed birth control pills manufactured in the early 70’s. We are interviewing Sandra Taylor today, former Wall Street executive, now Zen priest. Sandra does not have the symptoms of Parkinsons, but she does have extensive experience with trauma and chronic stress. She will talk about an approach for dealing with trauma that has worked beautifully for her. – to produce dopamine.” Robert Rodgers, Ph.D.
the major cause is related to stress and stress hormones. Has any body been convinced and by what means? and other PD sufferers in Lithuania. from time to time re-remembering how. probably a meaningful and useful frame of the problem. 40 hormones in the body which are out of balance. hormones that are out of balance. incredibly fascinating information will be posted. Body therapies are also useful in this regard. EFT on veterans of war. breathing (in and out) for a period of 5 minutes or longer. We bury the effects of stress on our bodies by not breathing. has been trapped in our bodies, sometimes for decades. yourself. They are safe and noninvasive. see relief from your symptoms. In Search for a Cure: Is there a Holly Grail? and what is your opinion of that method? quite ridiculous. No “cure” exists. for many forms of body therapies. is held in the body tissues. Come to me. I will fix you. answer. There is no holly grail. to accomplish the same benefit). of physical exercise. This also is a good thing. because of the small sample sizes. any effects reported in the drug studies. What Parkinson’s Disease Treatments Should My Fiancee Try Next? only addresses the symptoms and not the cause. What can we try to help him recover from this disorder? you can send my way would be MOST APPRECIATED. is a gradual process which takes time and patience. time to rejuvenate cells and to heal. get a baseline, then repeat the assessment every month. It is free and only takes a few minutes to complete. He can see the progress of his improvement over time. actually improving – but neither of you see it. to ask Randy about his dietary habits. it will be a challenge to feel better right now. exposure is too much for his body to process. an approach that feels right to pursue. and on the health of our neurological system. will not and cannot resolve. to mention just a few. answer out through experimenting using his intuition. will know what is right for him. now is to figure out the ones that are right for him. He has set his intention. He has engaged the journey. improvement in his symptoms over time. what are we doing to undermine it? alters the balance of hormones. body’s natural capacity to heal. digestive track, liver, kidneys and spleen. 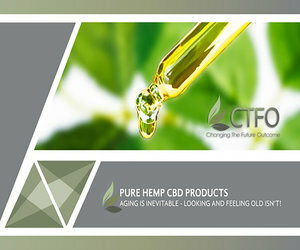 put Co Q10 directly into the body. Co q10 on its own steam. what happens with skills that we develop? its own – no supplement needed. it is the best choice a person can make. the nutrients it needs to heal. The body knows how to heal itself. pleasantly surprised with the outcome. Deepa on Theracycle 200 for sale. Heidi on How Do I Wean Myself Off of Sinemet? Sheila White on Theracycle 200 for sale. Healing Parkinson’s Disease Naturally – A Journey of Love #7 … How to get off meds … compounding pharmacist! | FredPhillips on How Do I Wean Myself Off of Sinemet?